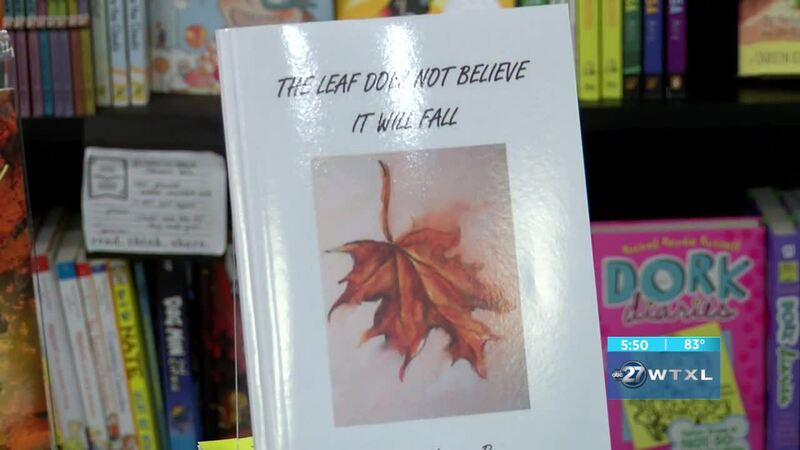 MIDWAY, Fla. — In this segment of COCA Connection, we're talking about the book launch of The Leaf Does Not Believe it Will Fall. Erica Thaler, with the Council on Culture & Arts, and Marina Brown, the author of the book, joined us to talk about the launch. Brown is an award-winning author, whose first novel, Land Without Mirrors, won the 2013 President’s Gold Medal from the Florida Authors and Publishers Association. Her second novel, Lisbeth, won the 2017 President’s Gold Medal from the FAPA, as well as the Silver Medal for Adult Fiction from the Royal Palm Literary Awards. Brown is also a journalist and magazine writer. Since 2000, she has written Features for the former St. Petersburg Times and currently is a correspondent for the Tallahassee Democrat. Her magazine work stretches from articles on home design and décor to dance to sailing and travel. Currently, she also writes for The Tallahassee Magazine, Florida Design Magazine, Palm Beach the Island, Miami Design and Décor, the Catholic Compass, and Your Health. The book launch will take place at Midtown Reader on April 25 from 6:00 p.m. - 7:30 p.m. Admission is free.